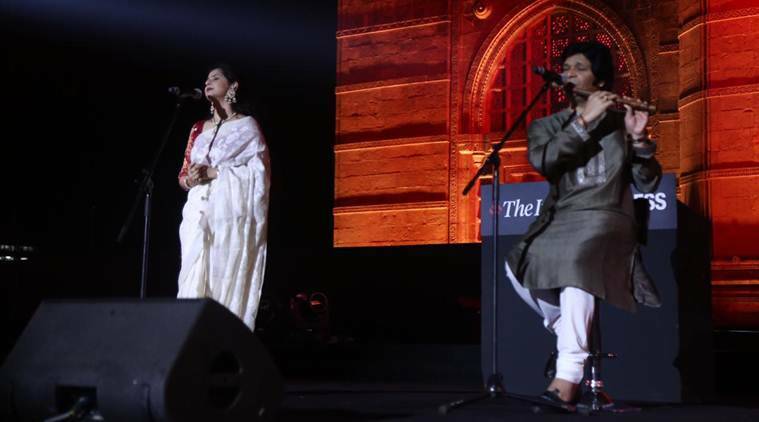 26/11 Mumbai Attack Anniversary: The event, an initiative to honour survivors and their families, saw a bevy of politicians, musicians and dignitaries descend on the city. “Terrorism is not just about holding the power to kill us… it is designed to destroy the integrity of our oneness”. 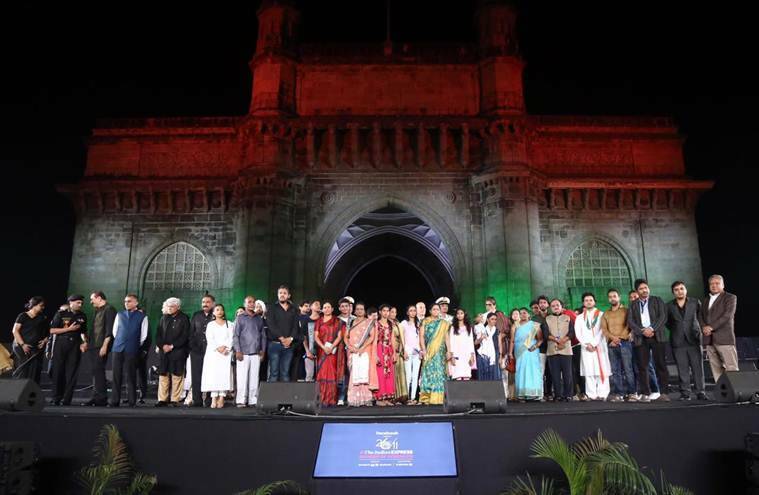 The words by actor Amitabh Bachchan perfectly encapsulated the essence of the third edition of ’26/11 Stories of Strength’, which was held at the Gateway of India in Mumbai. 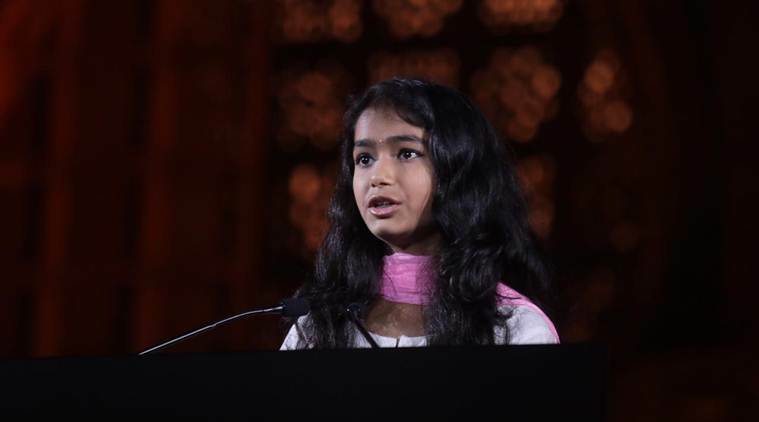 The event, an initiative to honour survivors and their families, saw a bevy of politicians, musicians and dignitaries descend on the city, which 10 years ago witnessed ten Lashkar-e-Toiba terrorists unleashing a wave of violence, killing 166 people and leaving many more with scars and trauma. 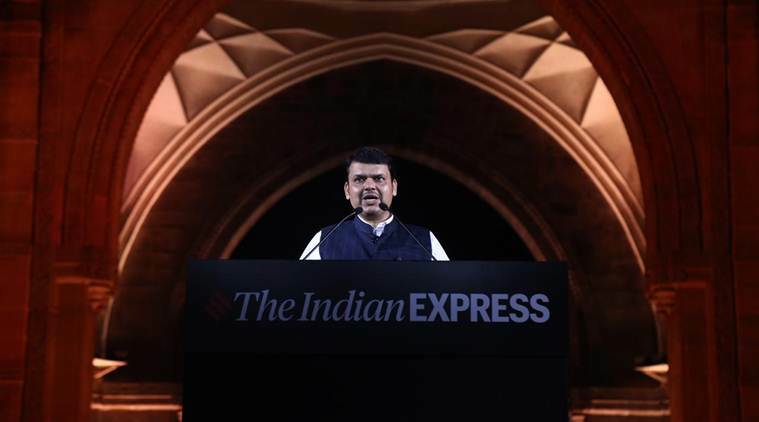 Maharashtra Chief Minister Devendra Fadnavis said India had never attacked a country as it followed the path of truth and urged the international community to follow a zero tolerance policy towards terrorism. 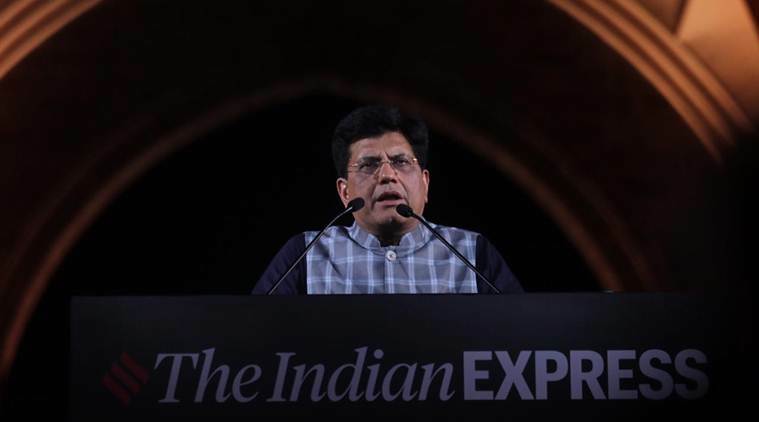 Union Railways Minister Piyush Goyal said the attack was not only on Mumbai but also on humanity. He further said the opening lines of the Constitution, “We the people of India”, had a lesson for the entire nation. The third edition of ’26/11 Stories of Strength’, an initiative to honour survivors and their families, has ended. Thank you for joining us. Union Railways Minister Piyush Goyal has now arrived on the stage. 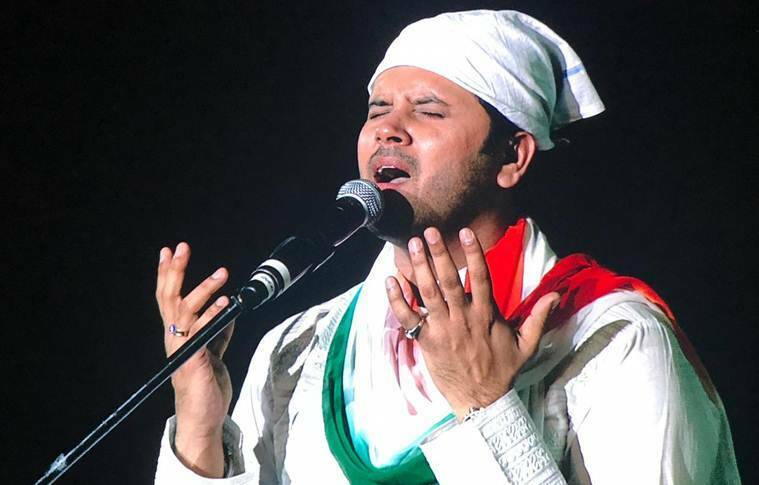 He begins by paying tribute to the martyrs. Goyal says the attack was not only on Mumbai but an attack on humanity. "It was a challenge posed to humanity by the terrorists," he says. Goyal says a retaliation to such terrorist acts cannot only be political. "It has to be through vikas (development) and by eradicating poverty," the minister says. Goyal says the opening lines of the Constitution, "we the people of India", has a lesson for the entire nation. Union Minister of Railways and Coal @PiyushGoyal speaks at the #StoriesOfStrength event. 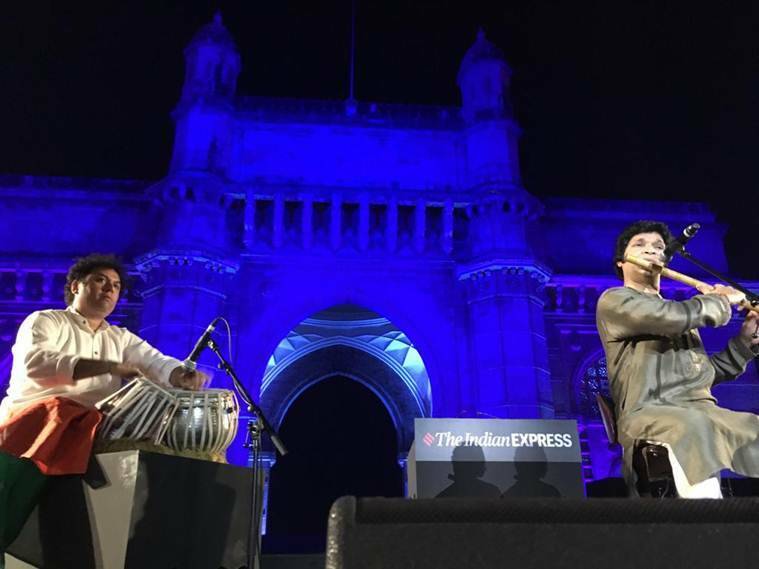 Javed Ali and his band of musicians are now singing 'khwaja mere khwaja' on stage on the backdrop of the Gateway of India, which has been lit up in green. Maharashtra Chief Minister Devendra Fadnavis comes on the podium. "We all know 10 years ago an attack was carried out on humanity, an attack where the targets chosen was to defeat the international community as well as India. We are on the path of truth. India has never attacked a country because it follows a path of truth. We have increased surveillance in Mumbai to thwart such dastardly acts in the future," the CM says. The international community should follow a zero tolerance policy towards terrorism, Fadnavis says. The legendary actor states that our solidarity is too strong to be broken by cowards and parasites. "We have drawn lines, continents and nations on this planet, but our planet is one. We have drafted scores of faiths and beliefs, but humankind is one, humanity is one. Our oneness, our unity, our singularity is not limited to fighting terror and anti-social ideologies. Our singularity is too vast to be shaped by limited horizons. Our solidarity is too strong to be broken by cowards and parasites. We must define ourselves not by what we are against, but by what we are for, and what can we be for, if we aren’t for each other!" he says. Amitabh Bachchan further says terrorism is designed to destroy the integrity of our oneness. "Terrorism is not just about holding the power to kill us... it is designed to destroy the integrity of our oneness. It is a desire to make children become slaves of their worldview of victimhood. It is a kind of collective selfishness which divides humanity into parts and portions for eventual consumption which means the Oneness has no time to work on its main purpose - which is development and growth," he says. 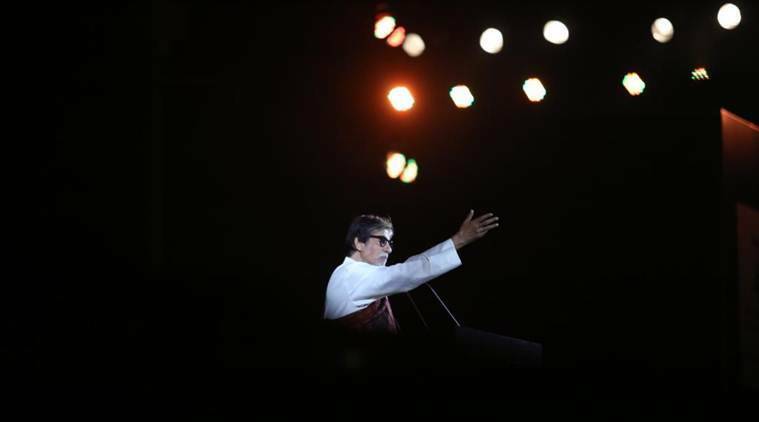 Continuing his speech, Amitabh Bachchan says oneness has varied meanings and is not a concept, but a living reality. "Oneness is more than common... oneness is one joy, one pain, one pride, one life. Oneness is not a concept, it is a living reality. It is the essence of our existence," he says. "There is a word, which has its origins in the Bantu languages of Africa – Ubuntu. When translated it means, 'I am because you are'. It is an acknowledgement of the fact that we owe our self-hood to others, that we are bound together in ways we can’t possibly fathom; that there is an inherent unity to mankind... and we succeed, by sharing with others. This is oneness," the actor says. Stressing on the need for oneness, Amitabh Bachchan says, "There is a sort of singularity, a kind of uniqueness, about different things which cannot be called oneness. For example, if yogic meditation feels like waiting for something, then it is not meditation at all. Waiting in anticipation has at least two features - one which is waiting, and the other which is waited for." The legendary actor further says there is a subtle difference between solidarity and oneness, "Yogic meditation is not divided. Such too is oneness. If oneness is seen as a cluster of differences which are united for a reason, then it will not perform. That is like a fist of different fingers. That’s solidarity, not oneness. Oneness is the hand to which the fingers belong, it's the kind of singularity from which other singles spring out. The fist is a union of diversities, the hand is the oneness," he says. Amitabh Bachchan is now on the podium, recalls his last year's pledge to not give shelter to terror. "We join our hands, it’s a symbol of oneness and the recognition that the divinity in me bows to the divinity in you. On this very day, at the same place last year we pledged that we would never give shelter to terror, determined that this parasite called terrorism shall never breed in our homes. Today, we want our dream to be realised, to reawaken to the power of love and of oneness," he says. 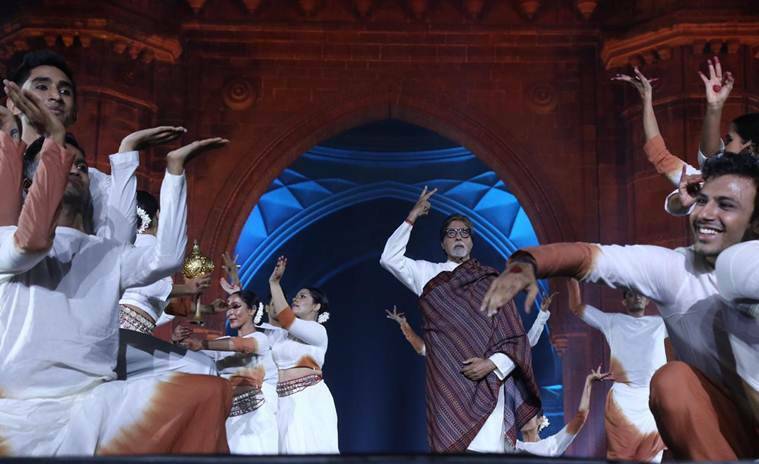 Students of Nritarutya dance academy are performing to 'Vande Mataram' as Amitabh Bachan's baritone voice emerges in the background. Performers getting ready backstage at the #StoriesOfStrength event. The story of Moshe Holtzberg, one of the youngest survivors of the 26/11 Mumbai terror attacks, is being played. He arrived in Mumbai on January 16, 2018, for the first time since 2008, when he lost both his parents – Rabbi Gavriel Holtzberg and Rivka Holtzberg – at Chabad House, South Mumbai. Now 11, Moshe was not even two at the time of the attack and was saved by his nanny Sandra Samuel. "I remember we had collected near Gateway after the attack, we were furious, angry but connected. 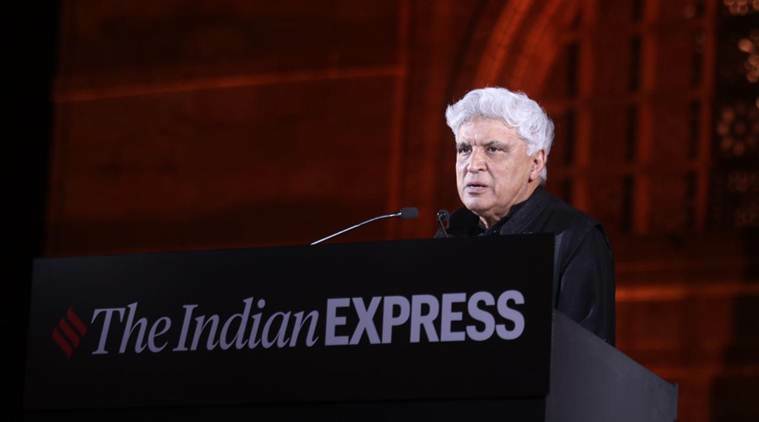 Mumbai is called the commercial capital, but Mumbaikars have shown they have their heart at the right place," says Javed Akhtar. "We were furious, we were outraged, we were angry. But at the same time we were united" - @Javedakhtarjadu on the night after the 26/11 Mumbai terror attack and the spirit of Mumbai. Kaushiki Chakravarty, Rakesh Chaurasia and Merlin are on stage presently, singing Rabindranath Tagore's famous song Ekla chalo re. The Bengali patriotic song was written by Tagore in 1905. Noted poet, lyricist and screenwriter Javed Akhtar has come on stage. He is reading out a poem to pay tributes to the victims of the 2008 terror attacks at the Gateway of India. Noted flautist Rakesh Chaurasia is on stage and the audience seems to be hooked to the tunes. For the uninitiated, Rakesh Chaurasia is the nephew of flautist Hariprasad Chaurasia. Ankhi Das, the Director of Public Policy for Facebook in India, begins her speech. "This year we have taken down 14 million pages of terrorist content. Doing our utmost best to check terrorism and terrorist propaganda," she says. "We would consider our endeavour successful if, upon listening to these stories, you are encouraged to think of what Indianness is, and what you would like Indianness to be. You see, each one of us, at some point, has to make that deeply intimate choice. A personal and yet universal one as to which path should we take between the faith of the extremist, the religion of the moderate, and, yes, even the belief of the non-believer," says Anant Goenka. "It’ll be a shame if the Indian millennial turns a blind eye to religion because then it leaves the battleground of religion to those who weaponise it — that is, the extremists. And so today, MORE THAN EVER, we should not view religion with apathy or disdain. Instead, it’s up to each one of us to find meaning in ancient texts and philosophy, rather than judge religion based on the most twisted interpretations that some have adopted." "Events such as 26/11 invariably cause an internal dialogue between the humanists, and the extremists in us… And it’s not difficult for the extremist to win, because when innocents die, extreme thoughts are easily rationalized." "You will see many such stories through the course of today’s event, in the book that we have published, and through our reportage. These are powerful markers of humanity in any place, any culture, but I’d like us to reflect, to what degree does being Indian define how these incredible individuals dealt with adversity? A Harvard case study done on the behavior of the Taj employees (on 26/11), concluded that one reason they behaved so unpredictably selflessly was that Indian Hotels HR policy was to hire people who are likely to be from joint families … and who display respect for elders because they imbibe the Indian value of putting others before themselves," says Anant Goenka. 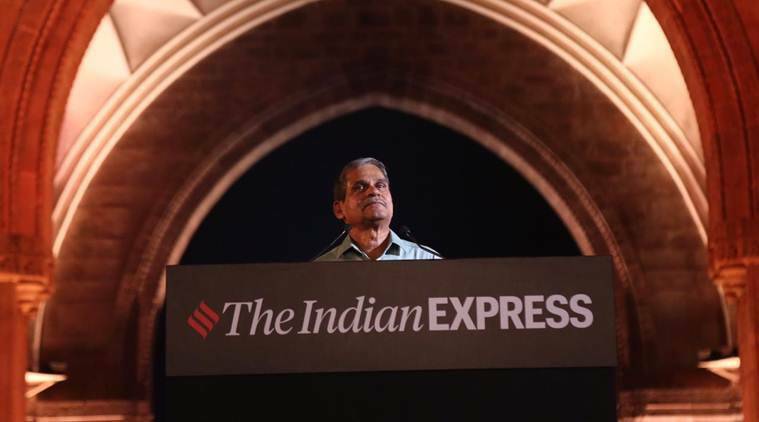 Dipping into ten years of reportage by The Indian Express, especially for the newspaper’s Stories of Strength project over the last two years, the book offers a long, gentle look at the personal struggles that continue long after the newsmen’s cameras have left the bloodied sites of the attack. READ more about the book. Anant Goenka, executive director Indian Express group, is presently on stage. "Events such as 26/11 invariably set off a dialogue, between the humanist and the extremist inside each of us. And it’s not difficult for the extremist to win, because when innocents die, extreme thoughts are easily rationalized. Yet, what we discovered after years of interviewing families of victims and survivors, is that there are many: Who inspite of irreversible loss, choose not to hate; Who when confronted with the choice between revenge and letting go, choose – instead -- to look ahead; Who in the face of despair and destruction, don’t search for someone to blame but take charge, pick up the pieces, and choose to rebuild," he says. Singer Neeti Mohan is presently on stage to pay tributes to the tenth anniversary of the 2008 terror attacks at the Gateway of India. She begins with Ae mere watan ke logon. The song was written by Kavi Pradeep, composed by C. Ramchandra, and performed by Lata Mangeshkar. "Mumbai, and for that matter, the entire nation bounced back to normalcy soon after, much to the appreciation of the whole mankind. Ten years down the line, we could not bring the perpetrators to book even after proving their involvement internationally. Rather they were declared innocents by their home nation and classified our claim as baseless. They are permanently protected and supported by their handlers as a matter of state policy of a country that harbours terrorists," says Major Sandeep Unnikrishnan's father. sovereignty. We, as a nation, should be able to frame permanent stern policies for dealing with our ‘enemy’ against their using terror as a permanent weapon instead of changing our reaction on and off for political or administrative reasons." "The commemoration of the anniversary of 26/11 gives us an opportunity to thank and honour the living legends of 26/11 who are not remembered or honoured as often as the fallen heroes." 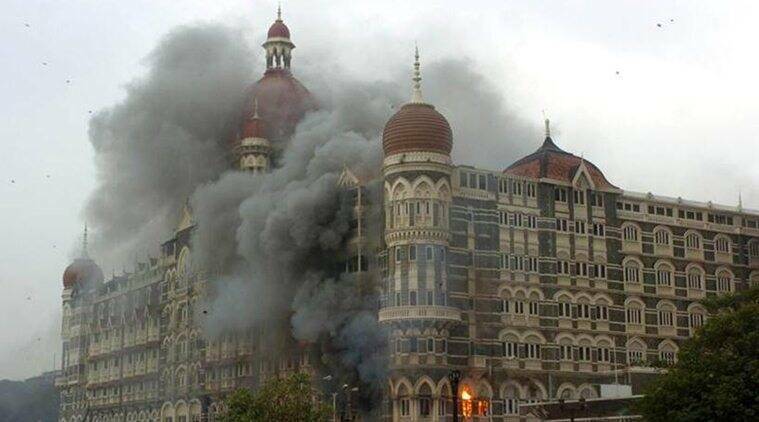 "Today is the 10th anniversary of ‘26/11’. As we all know, ten years ago, humanity the world over witnessed a brazen terrorist attack targeting this city of Mumbai, which was sponsored and executed by elements nurtured and supported by our neighbours across the western border. We could not do anything until the ten heavily armed, trained and brain-washed misguided youth reached and settled wherever they wanted, including our bedrooms. We allowed them to inflict maximum injury to our nationhood. We brought in forces after forces and tried to minimise the damage and to an extent succeeded in containing them and finally eliminating 9 of them. We managed to capture one of them alive, courtesy Shri Thukaram Ombale, the brave ASI, who accomplished it almost single-handedly and without any weapon on his possession. Whenever I think of 26/11 my first salute goes to that ideal soul," says Major Sandeep Unnikrishnan's father. Father of Major Sandeep Unnikrishnan, who lost his life while battling the Pakistani Lashkar-e-Taiba terrorists during the 26/11 attacks in Mumbai in 2008, is speaking now. 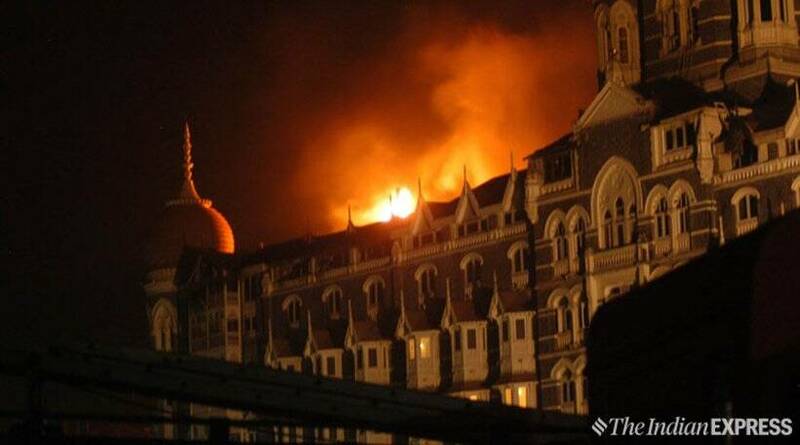 Major Sandeep Unnikrishnan was leading a team of NSG commandos to flush out terrorists from the Taj Palace Hotel in Mumbai when he was fatally wounded. He was conferred the Ashok Chakra, the country's highest peace time gallantry award, on 26 January 2009. Major Sandeep Unnikrishnan fell to a terrorist's bullet after he rescued an injured commando and then rushed up the stairs deciding to take on the terrorists alone. A moment of silence is being observed to pay tributes to the victims of the 2008 terror attacks at the Gateway of India. Among those who will be sharing their stories of overcoming anger and fear and inspiring courage at the Stories of Strength event will be Mumbai Police Constable Arun Jadhav, slain NSG Commando Major Sandeep Unnikrishnan’s father K Unnikrishnan, and Shruti Kamble, whose husband was fatally wounded while helping guests to safety at the Taj Mahal Hotel, where he was a staffer. With its rendering of patriotic tunes and melodies, the Navy band is enthralling the audience. Since 2016, The Indian Express 26/11 Stories of Strength project has sought to give voice to the inspiring stories of over 70 survivors. 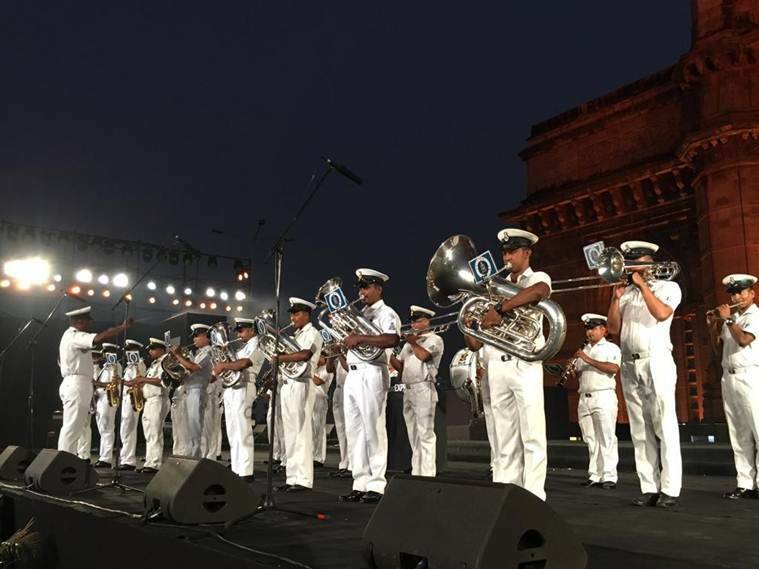 The Navy band is presently on stage to pay tributes to the tenth anniversary of the 2008 terror attacks at the Gateway of India. 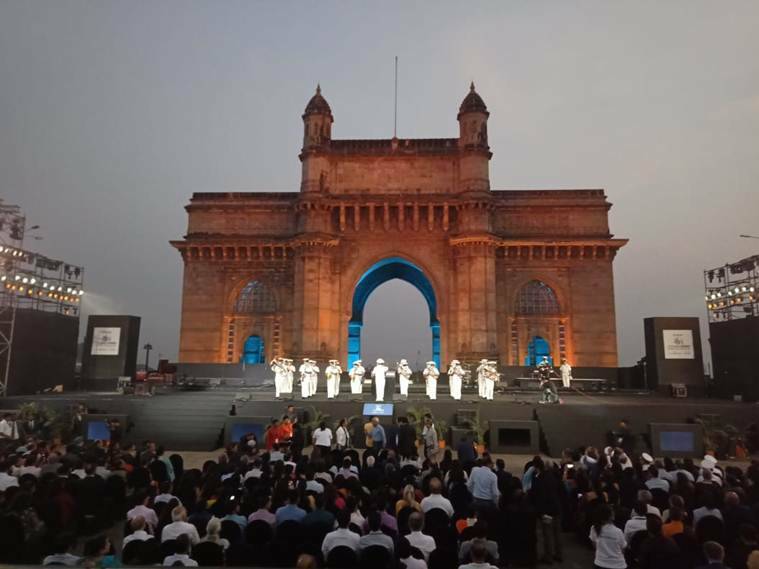 #StoriesOfStrength | The Navy band is presently on stage to pay tributes to the tenth anniversary of the 2008 terror attacks at the Gateway of India. 26/11: Mumbai police band comes together to pay tributes to the tenth anniversary of the 2008 terror attacks at the Gateway of India. The third edition of our #StoriesOfStrength event honouring the survivors of the 26/11 Mumbai Attack is now LIVE. 26/11: Mumbai police band comes together to pay tributes to the tenth anniversary of the 2008 terror attacks at the Gateway of India. Watch LIVE streaming here. The third edition of 26/11 Stories of Strength, a continuing initiative by The Indian Express to honour survivors and their families, and to recount their stories of resilience in the face of grief and loss, begins. Presented by Facebook, the founding partner of the initiative, driven by Maruti Suzuki and powered by Viacom 18, ‘26/11 Stories of Strength’ is being held at the Gateway of India, Mumbai. Since 2016, The Indian Express 26/11 #StoriesOfStrength project has sought to give voice to the inspiring stories of over 70 survivors, who have been interviewed by The Indian Express’s Mumbai bureau. President Ram Nath Kovind said on Monday that “horrific images” of the November 26, 2008 Mumbai terror attacks still remain in India’s collective memory and “we are honour bound” to get justice for those who suffered. Kovind, who was speaking at the inaugural function of ‘Constitution Day Celebrations’ held here, shared the concern of other dignitaries who spoke about the challenges posed by terror attacks like the Mumbai’s 26/11. “I refer to the terror attacks in Mumbai on this day, exactly 10 years later. Those horrific images still remain in India’s collective memory. As a nation and the people, we are honour bound to get justice for the individuals and families that suffered,” Kovind said. The Congress was in power when the Mumbai attacks took place but questioned the BJP government's surgical strikes in Pakistan, Prime Minister Narendra Modi said in Bhilwara on Monday. The prime minister was addressing an election rally here on the tenth anniversary of the 26/11 terror strike when 10 Pakistani terrorists sneaked into Mumbai, killing 166 people over 60 hours. 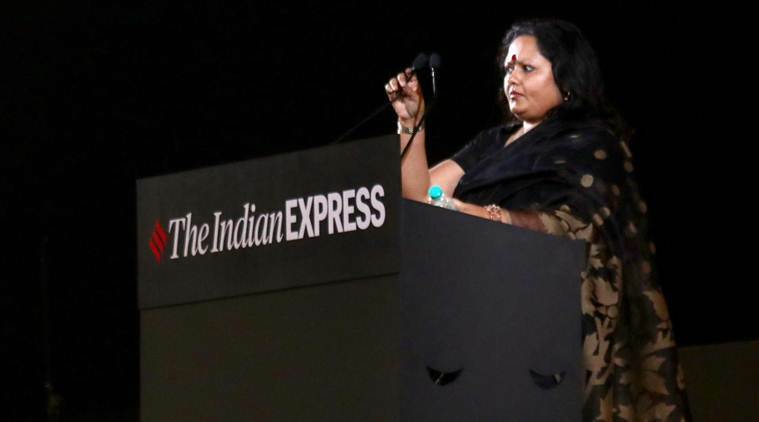 Since 2016, The Indian Express 26/11 Stories of Strength project has sought to give voice to the inspiring stories of over 70 survivors, who have been interviewed by The Indian Express’s Mumbai bureau. On Monday, among those who will share their stories of overcoming anger and fear and inspiring courage at the Stories of Strength event will be Mumbai Police Constable Arun Jadhav, slain NSG Commando Major Sandeep Unnikrishnan’s father K Unnikrishnan, and Shruti Kamble, whose husband was fatally wounded while helping guests to safety at the Taj Mahal Hotel, where he was a staffer.